We’re here in the ‘city by the bay’ for the 31st annual assembly of biotech and pharma peeps and the money they seek from the venture capital world. Not exactly my tribe, but my interest was sparked by the generous ‘non profit track’ with many nameplate integrated delivery systems in the strategy and market management conversation. 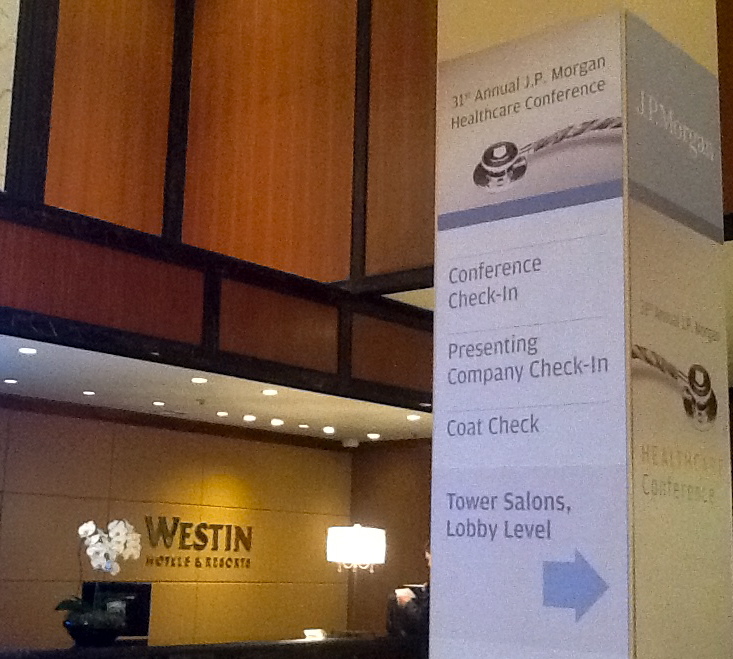 For details, links and some humor on the event including ‘twit’ offered by conference attendees see: JP Morgan Healthcare Conference TweetUp or JP Morgan 31st Annual Healthcare Conference. Major kudos as JP Morgan is livestreaming portions of the event. This is public but you will need to register on their site. More or Less Confusion in ACO World: Who Really ‘Certifies’ ACOs?